If you’ve ever been involved with a Scorpio, you know he or she can be deeply loving, passionate and committed. You also know Scorpio can be deeply uncompromising on a few subjects. Scorpio will go to the ends of the earth for you, but there are certain words that should never cross your lips if you want this sign in your life. Statements that indicate you want to see other people also fall under the “keep it casual” umbrella. 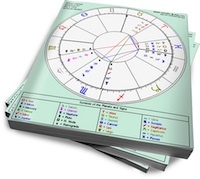 If Scorpio is into you, he’s already decided he wants a full-on relationship, even if this is your first date. He’s energized by merging, exclusivity, and the deep exploration that can happen between two people. If you decide you’re not ready for anything serious, you’ve lost him. He has no interest in superficial connections, or in competing with others for your affection. He may briefly try to “convince” (seduce) you, but he knows when he’s wasting his energy. There will be no second date, and any interest he initially showed in you will vanish. Forget about follow-up flirting and “what does he mean by that” texts. He’s moved on. Also, any version of “You’re freaking me out with your intensity.” These words will be interpreted as a direct attack on who Scorpio is. Whether this is your response to her probing questions, unbroken eye contact, or her desire to push past certain limits in the bedroom, you’re demonstrating that you’re like all the others who were scared off by her intensity. Even if you’re joking, be careful. It’s a hot-button issue, because she’s well aware that she scares people off, but she’s not going to apologize for this. If you’re just getting to know Scorpio, she’ll take this as a sign that you’re not the right person for her. If you’re already in a relationship, and she reveals a deeper layer that catches you off guard, this will be a major turn-off. She may not walk out the door, but she’ll withdraw. She’ll be deeply hurt, and she’ll also ponder if she can move forward with you. This actually falls under the category of “Things Not to Do to a Scorpio.” But if you get the urge to snoop, don’t think for a second that coming clean (to ease your guilt or catch him in a lie) will work in your favor. Scorpio wants to have an all-access pass to your secrets, and he’s certainly revealed a few of his own. But if there’s something he’s holding back, he’s just not ready to share it. He may reveal it in the future (on his terms) or he may never let you in to that particular corner of his life. His privacy is absolutely sacred, and violating it will have two possible consequences: you’ll infuriate him and/or he’ll leave you. Scorpio’s anger is a nerve-wracking thing to experience, because it’s triggered when he feels his survival is being threatened. And it doesn’t blow over quickly. This may seem like an extreme reaction, but his boundaries are non-negotiable. You’re showing him you can’t be trusted, and the odds of forgiveness are slim. any sign can evolve via progressions and self-awareness. Progressions are the evolution of your natal potential, so it’s possible for anyone. Or I should say, anyone who wants to change. Got it. Thanks Nadia. And Scorpio as a sign is one of being able to dig deep inside and transform whatever they feel is not working for them, is it not? So if any sign can transform their traits that dont work for them it is more likely to be a Scorpio is it not? Thanks. Merge with the absolute naked core of the self and transform that very core to whatever gives them the results they want in life? Does this count for someone who has Venus in Scorpio? My partner has this, and I have gone through his facebook and email before. I know, really bad. He didn’t seem to care. At least on the surface. He does have like three planets, sun, mars, and mercury in Sagittarius. So maybe it makes him less intense? I’m a Pisces with no major Scorpio in my chart and don’t want to hear any of these either! Except for the last one, that’s obviously ok.
I’m a Pisces woman (i only have Uranus in Scorpio) and i can identify with all of the statements in the article above. As soon as i find out a man is not loyal to me, i turn cold and bitter, i’m not turned on by him anymore and eventually i lose all interest in him. I am not gonna dance to your tunes. My dear, I don’t give a damn. You do know, I am not actually gonna share credit ? Thank you for the coffee anyway. Yes I know am very good at what I do. And no that does not mean, I am gonna do your share of work. What were you asking anyway? So you think you are intense/troubled/whatnot. Well I also have some issues going, on I hardly bring them up, I keep them to myself, like an adult.